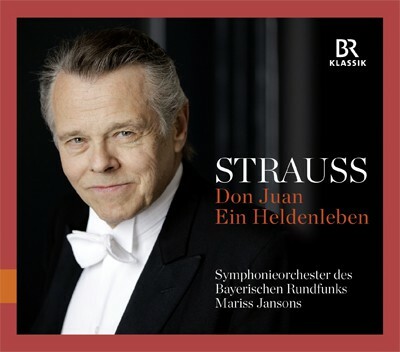 StartseiteHome BRSO Media Center CDs & DVDs Richard Strauss: "Ein Heldenleben"
"Heroes" is the main topic of this new recording of the Symphonieorchester des Bayerischen Rundfunks, conducted by Mariss Jansons - Heroes in the music of Richard Strauss. In 1888, when he was only 24-years old, the uprising composer Strauss wrote music to "Don Juan", the dramatic poem by Nikolaus Lenau. With that piece Strauss became a very young master of the genre tone poem. Mariss Jansons draws the typical fresh verve of the early Strauss out of the Orchestra. A verve that reminds of the romantic era and the music of Mendelssohn, Schumann and Brahms.